Ally is a dual American and British citizen having grown up in Massachusetts and residing in Bristol and London for the past twelve years. Her background is colorful and varied as she attended schools in Italy, Scotland, and New Hampshire in her teens, graduated high school in Hawaii, spent a few years at Harvard studying astrophysics, and received a Biological Sciences degree from Exeter University in 2013. Ally’s love for animals began at an early age growing up on a farm, spending most weekends at dog shows with her family, and training Saddlebred show horses for several years in her 20s. Her curiosity in all things small and marine was born from observing horseshoe crabs zoom around bays in Cape Cod while quahogging with her grandparents and has lead to exploring the seas of the US, UK, Indonesia, Philippines, Thailand, Maldives, Egypt, Sudan, Kenya, Tanzania, Mozambique, Sweden, Norway, Svalbard, Honduras, Costa Rica, Panama, Cuba, Bahamas, Greece, and Malta in the past several years. 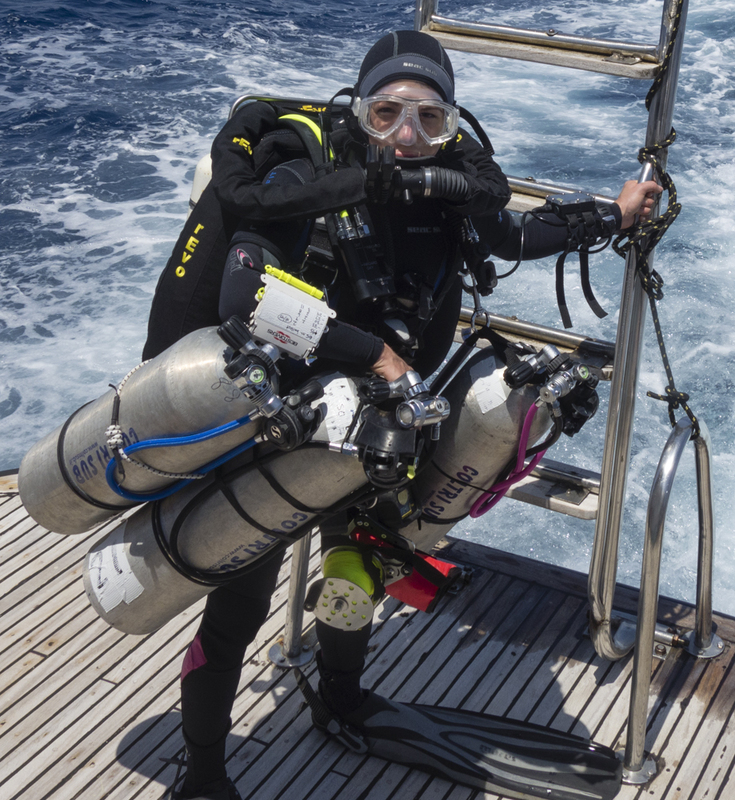 With over 1200 logged dives and most of those with her large camera system in tow, Ally has spent the past five years exclusively diving a rebreather with a strong concentration on trimix technical diving below 40m specifically to document the unusual and unknown species in depths from 40m to 120m. Ally focuses on depths to 100+m because there is currently very little if any scientific classification of species below 40m due to the depth limitation of recreational SCUBA and higher risks and costs associated with mixed gas diving. 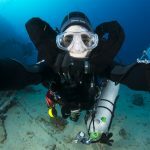 It is interesting to note there are few technical rebreather divers who are female, photographers, academic, or interested in documenting marine life at deeper depths, so Ally’s skill set and experience is an unusual combination. 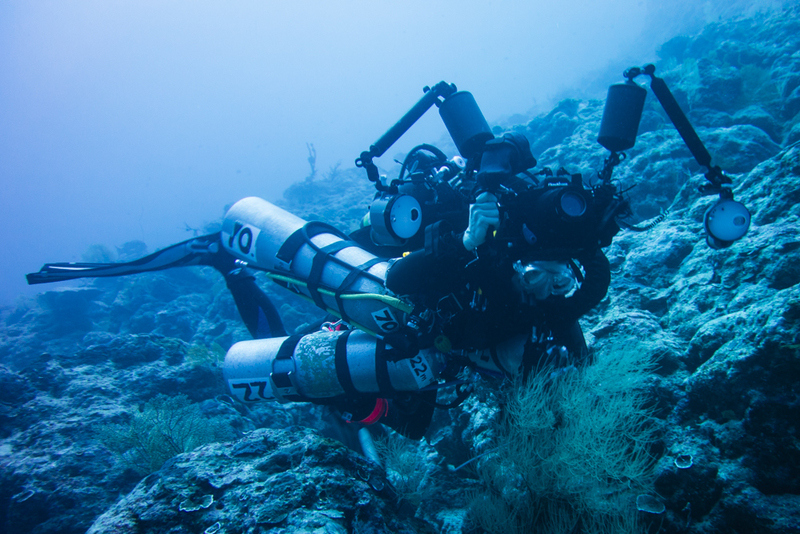 Deeper reefs found from 30m to 75+m, known as mesophotic coral ecosystems, are biologically linked to well-studied shallow reefs and could prove more extensive, yet little is known about the community structure, ecological dynamics, and population connectivity along the vertical gradient within this deeper environment. 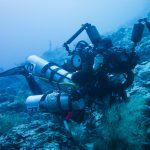 Ally wants to be one of the pioneers discovering what creatures thrive in this more challenging environment, especially as it is an area of marine science that is virtually unexplored. 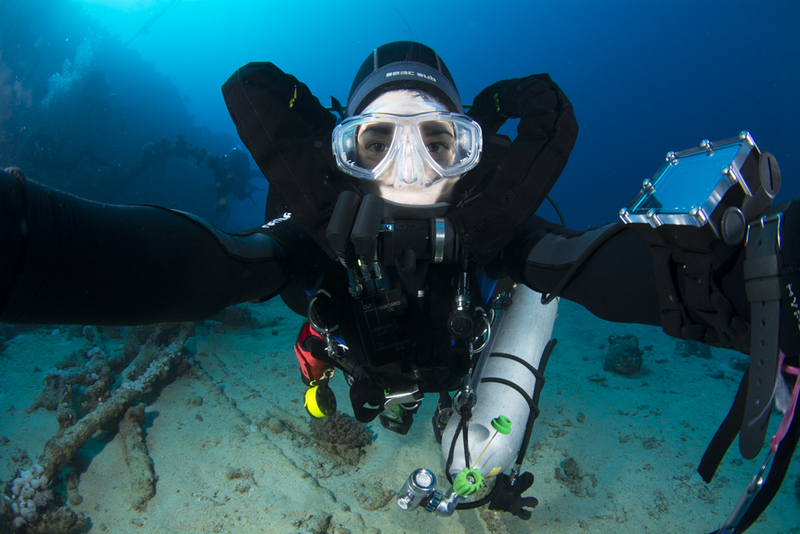 Ally dives a rEvoX micro rebreather and is certified for hypoxic trimix to 100+m, with over seventy dives logged between 60-120m. Her camera kit includes a Nikon D7100, Nauticam housing, Inon Z-240 strobes, and countless lenses and accessories. 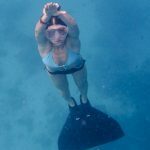 Her work has been published in numerous media outlets including BBC News, The Guardian, BBC Focus magazine, X-Ray magazine, Diver magazine, and many other news channels worldwide. Ally’s underwater photographs have been awarded by NHM Wildlife Photographer of the Year, Underwater Photographer of the Year, and Ocean Geographic, among others, and her photograph of the eye of a parrotfish can currently be seen in the Natural History Museum in London.